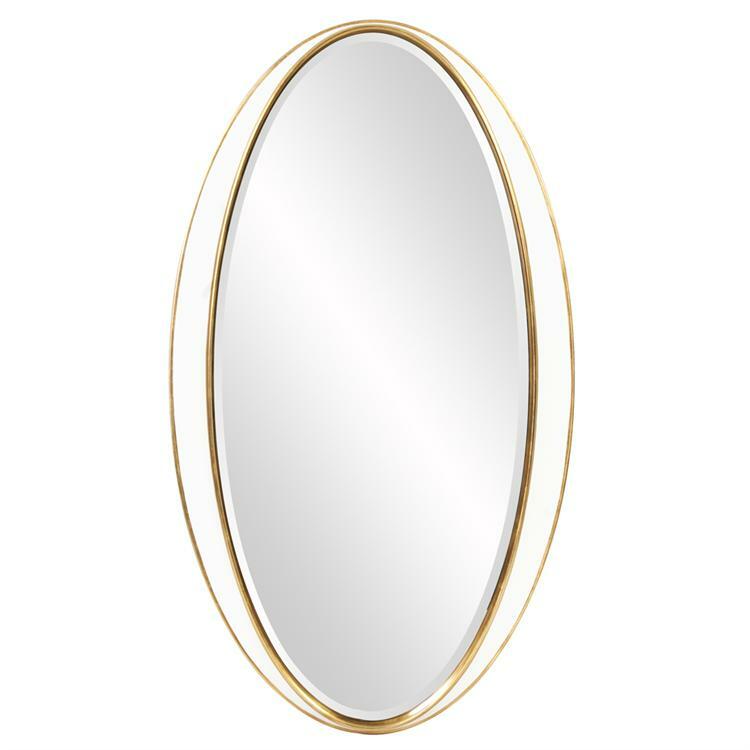 The Roswell Mirror is a striking piece featuring a simple oval frame. The finish is what makes this mirror stand out from all the rest. The main frame is finished in a brilliant glossy white that is trimmed on the inner and outer borders in a lovely gold leaf. It is a perfect focal point for any design. Hang in either a horizontal or vertical orientation! The mirrored glass on this piece is beveled adding to its beauty and style. Customizable for larger orders.